The largest and most affordable Online Boy's Bicycles Shop! Boys Bicycles shop the largest and most affordable! Do you want to buy Boys' Bicycles online? Hollandbikeshop.com has the Boys' Bicycles you're looking for. Looking for a cool bicycle to play on or practice cycling on (with or without training wheels)? Or are you looking for a real BMX bike for a future stunt man? Here you'll find all the boys' bicycles from our children's bicycle range conveniently organized in one place. All models have a cool appearance, for example thanks to an extra wide pair of tires, and most are equipped with an extra hand brake for added safety. The smaller models are equipped with training wheels. At Hollandbikeshop.com you can find a wide choice of boys' bicycles by brands like LeaderFox, Alpina, Prince, Noxon, Gazelle, Giant, Sparta, Loekie, Batavus, Conway and Golden Lion. We have a great boys' bicycle for every age, height and preference. Not sure about what frame or wheel size to choose? For every bicycle, you'll find a convenient size chart in the product description to help you with your choice. 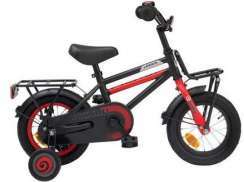 In our wide range of Children's Bicycles on Hollandbikeshop.com you'll find boys' bicycles in various colors, sizes and models, with 18 to 50 cm frames and 12 to 26 inch wheels. So you'll surely find the boys' bike you're looking for. 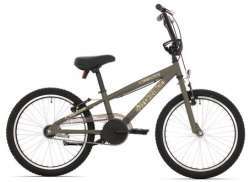 Hollandbikeshop.com is a dealer of Boys' Bicycles and has a large and affordable range. 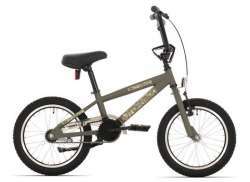 We also often have Boys' Bicycles on sale or in our outlet, so keep an eye on our sale button. The largest and most affordable Boys' Bicycle shop!